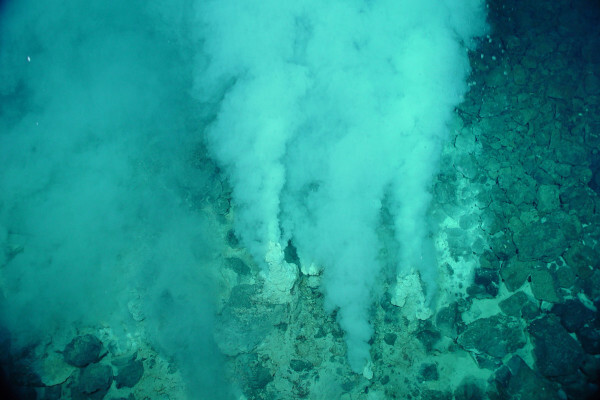 Are animals at hydrothermal vents better in a warming climate? I'd be curious to know more about what (if any) links have been found between global warming and life around hydrothermal vents. Since vents themselves may vary in their output of warm water would lifeforms near them be more capable of coping with warming waters compared to other living things? Paul - That's an interesting question because one of the great misconceptions is that animals living at hydrothermal vents are living at very high temperatures because the water coming out of the vents is up to 407 degrees Celsius. But most of the animals living at hydrothermal vents live at temperatures between 5 and 20 degrees Celsius, and that's the same sort of temperature that you would get in the waters around the southern part of Britain, from winter through to summer. So, in many ways, there's no special adaptation to the temperature per se. The clever adaptation really is to the use of hydrogen sulphide. Previous Can radiation-feeding bacteria eliminate radiation? Next Can only basic species live on alternatives to oxygen? At what speed does windchill give way to frictional heating?